You will have dozens of questions when you start to talk about relapse, and the answers are often confusing or contradictory. Is the success rate for recovery 10 percent? 25 percent? 50 percent? 75 percent? Can an alcoholic or addict establish long-term recovery, or does everyone relapse at some time? Are some treatment approaches better than others? Is there any way to guarantee success? The truth is that the research on all of these questions is at best imprecise, with few definitive answers. There is still a great deal that is not understood about addiction, and the answers vary from one study to the next. However, while we may not be able to offer clear “yes” and “no” statements, we have enough data to move forward. Millions of people are experiencing strong recovery, and we can learn from their success. We can also find patterns in failed recoveries and know what to avoid. 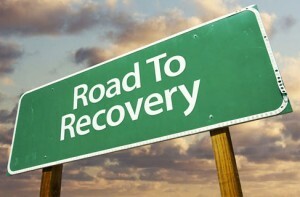 In combination, we have enough information to mark the path for successful recovery. Listed below are six practices that have been shown to foster long-term recovery. Take time for treatment. The longer an individual stays in treatment, the better the chance that he or she will have a strong recovery. People who stop treatment after detox have an almost 100% failure rate. Those who dedicate 30 days to treatment do much better, with outcomes improving for those who dedicate 60 days, and the best results for those who spend 90 days in treatment. While insurance companies will rarely pay for more than 30 days of the intensive treatment we offer at St. Joseph Institute, we encourage our residents to move to transitional living or enter into a Partial Hospitalization Program (PHP) or an Intensive Outpatient Program (IOP) after they complete our program. Insurance companies will often cover this additional treatment. Address the co-occurring conditions. Research suggests that almost 70% of all people with addiction have other conditions that complicate recovery. Depression, anxiety, bi-polar disorder, trauma, PTSD, and abuse are among the factors that often drive addiction. For recovery to be strong, these conditions must be treated. A professional counselor is often an important part of an aftercare program. Be willing to change. A strong recovery demands that the addict make hard, life-changing decisions that will make it easier to live without their drug of choice. Old friendships may need to end, new ways to relax must be adopted, relationships may require work to end bad habits and build new boundaries. If change is not embraced in recovery, success is rarely achieved. An important role for families is their support of positive change and the refusal to return to any enabling habits. Seek support. The greatest enemy for an addict or alcoholic is their own thoughts. Everyone needs support when times get tough and when the “disease of addiction” starts talking to them. A successful recovery requires the support of others in recovery to encourage, mentor, and at times be brutally honest. Every recovery program that has enviable results includes a support group such as AA, Celebrate Recovery, or Women in Recovery. For example, the mandated programs for doctors, pilots, and pharmacists in recovery have documented success greater than 90%. These programs all require several years of weekly meetings with others in treatment. Be accountable. A successful recovery requires a plan to ensure that addiction has no place to hide. Returning to drug or alcohol use can never be entertained as an option. People do best when they know the consequences of relapse. Regular testing should be part of every addict or alcoholic’s program for success. They should also create a plan for how to handle potential relapse and share that plan with people they trust. The greatest tragedy is when someone begins using again and has no safety net to stop him or her from falling back into the dark pit of addiction. Those in recovery should plan for mistakes so that they are quickly corrected and have minimal impact on overall recovery. Build a better life. Too often, people look at recovery as a list of what they cannot do rather than as an opportunity to build a better life. If they suffer from loneliness, they need to meet new people and find things to do with others. AA meetings, church groups, and volunteer centers are among the many options that can help. To alleviate restlessness and boredom, they need to find new ways to have fun. Fortunately, people in recovery have countless options for community and activities that will bring laughter and joy back into their lives. The road to lasting recovery always requires commitment and effort. Those who assume they can tough it out through sheer “willpower” make the greatest mistake. Life must be different, and while effort will be required, addicts must remember that they are not alone; they can rely on the support and community of those who love them and share their struggle. Success is possible if the motivation to defeat addiction is grounded in new and better life habits and relationships. Forget the odds. Instead, “work a plan” to stay clean and sober. Over time, the road gets easier, and the journey is filled with rewards.